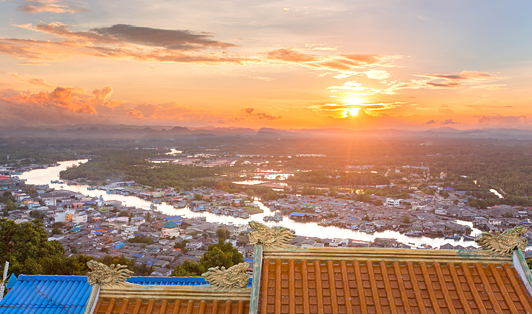 Chumphon Town is located in southern Thailand, about 462 kilometers from Bangkok. The city has a bus terminal which offers buses to and from Ranong, Phuket, Bangkok, and Hat Yai. Minivans are also available from the city to your hotel or Chumphon Pier and vice versa.